T-Mobile’s Uncarrier Amped is back this morning with an announcement called “Mobile without Borders.” What’s that, you ask? 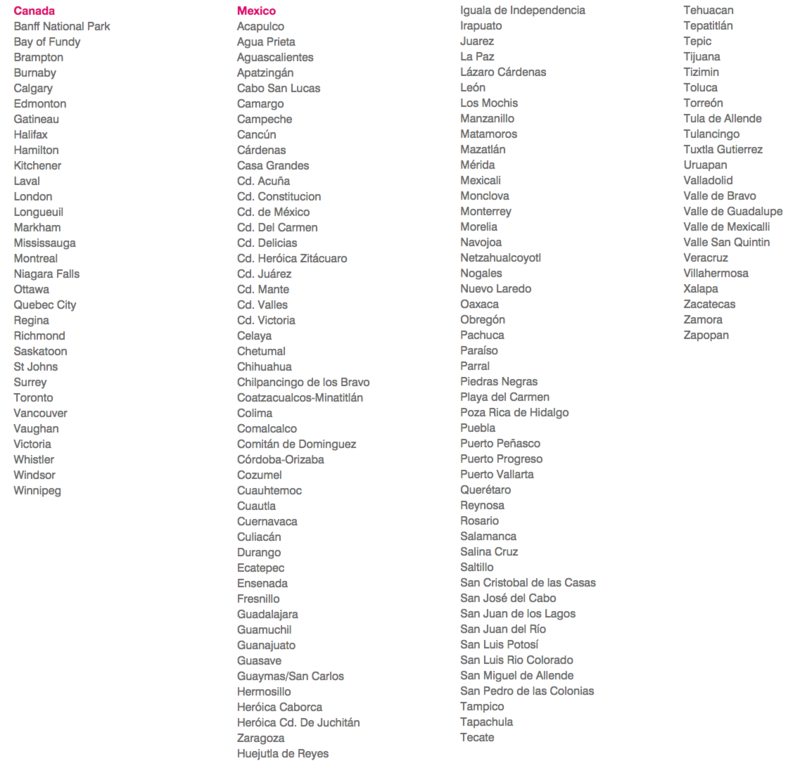 According to T-Mobile, their Simple Choice plans now include talk, text, and 4G LTE data without extra cost when in Mexico or Canada. This is a “first-of-its-kind” move, because US carriers tend to rob you of every last penny when you take your phone across one of this country’s borders. You can use 4G LTE data when in Mexico or Canada as well, with data coming straight out of your plan, not through some add-on package. At this time, you won’t be able to pull from your Data Stash when in Mexico or Canada, but T-Mobile says that you will be able to later this year. Wondering where exactly in Canada and Mexico this will all work? Here you go. This is a list of cities/areas. And here is T-Mobile CEO John Legere talking about it all. The video is lengthy, probably includes swearing and bad hair, and may or may not be worth a watch. It’s up to you. Again, we’ll see what we can find out. Where are the footnotes? What’s the difference between the new Simple Choice plans coming July 15 and the current ones? That sort of thing.